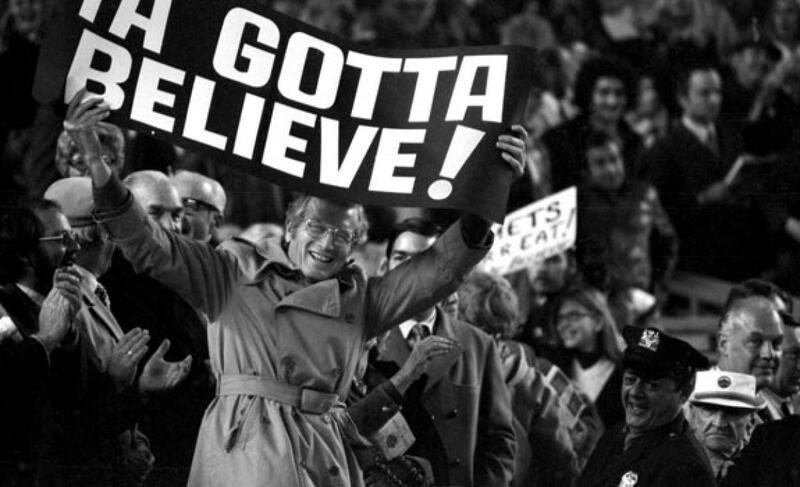 Game Recap: Yankees 11, Mets 2, Errors undo Robles after strong Harvey start | We Gotta Believe! The Yankees (82-66) defeated the Mets (84-65) by the score of 11-2. Matt Harvey was fantastic in 5 shutout innings, but the wheels came off due to two errors, a 2-run double, and a 3-run home run by the Yankees in the 6th against Hansel Robles. CC Sabathia, after a rough start, shut down the Mets through 6 innings. The Mets got off to a quick start against CC Sabathia, with back-to-back doubles by Ruben Tejada and David Wright to give the Mets a quick 1-0 lead. Sabathia struck out Yoenis Cespedes and Juan Uribe, before walking Travis d’Arnaud and Lucas Duda to load the bases with 2 outs. The Mets were unable to convert though, as Michael Cuddyer popped out to end the inning. Matt Harvey was strong through his 5 innings pitched tonight, and allowed only 1 hit (an infield single) and walked 1 while striking out 7 and keeping the Yankees off the board. The Mets had a couple of opportunities with runners at 2nd and 2 outs against Sabathia, but both times, left the runners where they were. After Harvey’s 5 innings were done, the Mets had a 1-0 lead going into the top of the 6th. During the first 5 innings, Juan Uribe hurt his collarbone while making a diving stop, and would have to come out of the game in favor of Daniel Murphy. Hansel Robles came in for the 6th, and allowed an infield single/throwing error on Daniel Murphy to lead off the inning. Brett Gardner tried to bunt Jacoby Ellsbury over, but grounded it right to Robles. Robles threw wide to 3rd base, and David Wright missed a catch he should have had, and was charged a missed catch error to put runners on 1st and 3rd for Carlos Beltran. Beltran sent a line drive past Juan Lagares to the center field fence to score two runs and give the Yankees a 2-1 lead. Robles then struck out Brian McCann, walked Greg Bird, and struck out Chase Headley before allowing a 3-run home run to Dustin Ackley to put the Yankees ahead 5-1. Sean Gilmartin finished the inning, but the damage was done. Sabathia finished his 6th inning, and once again kept the Mets off the board. In the top of the 7th, Eric O’Flaherty allowed a single, a hit-by-pitch, and a walk surrounding a couple outs. Erik Goeddel came in to try and escape the jam, walked in a run, then got Stephen Drew to fly out to end the inning. The Yankees had a 6-1 lead. The Yankees tacked on 5 more in the 8th with 2 singles, 3 walks, a Juan Lagares error (the team’s 4th of the game), and a 3-run home run by Greg Bird (against Carlos Torres and Tim Stauffer). The Mets tacked on a run in the 8th, but were set aside in the 9th, completing the 11-2 loss. That was an ugly loss, especially because of how they started against CC Sabathia. You just had a feeling that with that kind of start, Harvey going well, and the Nationals’ win today, this team would step up. Unfortunately, that didn’t happen, and the magic number remains at 8 while the Nationals cut the Mets’ division lead to only 6 games. The errors were pretty ugly too, and it’s easy to feel bad for Robles, who probably should have exited the inning without much issue. That being said, he still gave up the double and the home run. The positive, of course, is Matt Harvey’s strong outing, even if it was cut short. (Another positive, to a lesser extent, was the appearance of Carlos Torres on the mound, his first appearance since his calf injury, even if he did give up a few runs). From here on out, the Mets have 3 against Atlanta at home, 4 against Cincinnati on the road, 3 against Philadelphia on the road, and 3 against Washington at home. (The Nationals have 3 against Baltimore, 3 against Philadelphia, 1 against Cincinnati, and 3 against Atlanta before that final series). If the Mets can go 6-4 against those three bad teams, the Nationals would have to go 9-1 to make the final series matter. 7-3 would force the Nats to have a perfect record the rest of the season. And who knows, perhaps a decent Baltimore team can take a bite out of their momentum this week. The Mets take on the Braves tomorrow, with Jon Niese facing Shelby Miller, at 7:10 at Citi Field. CORRECTION: A previous version of this post had the score as 11-1. It was a long night. Why are Mets fans booing Carlos Beltran?